It is a holiday week-end here in Canada. Officially it is called Victoria Day week-end. The holiday commemorates the birthday of the longest reigning British monarch, Queen Victoria. Alexandrina Victoria (24 May 1819 - 22 January 1901) was the Queen of the United Kingdom of Great Britain and Ireland from 20 June 1837 until her death on 22 January 1901. Her reign as Queen lasted 63 years and seven months, longer than that of any other British monarch to date. Unofficially, the holiday has been called "May Long" week-end or "May 2-4" - named because it usually falls near or on the 24th; and "2-4" is Canadian slang for a case of 24 bottles of beer which is commonly purchased for celebrating this, among other, week-ends. Whatever you call it, it is the unofficial week-end to the beginning of summer here in Canada. In many cities across the country, the day will be celebrated with picnics, parades and fireworks. Canada has become one of the most culturally diverse nations in the world. 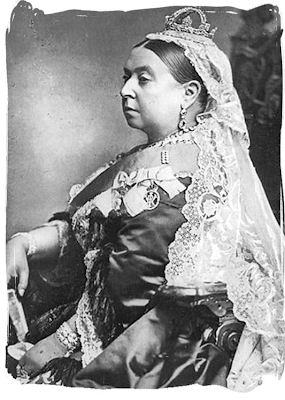 Should we keep the name "Victoria Day"? As much as I love the British history of my country, I think re-naming this holiday to "Prime Ministers Day" would not only commemorate the past and present leaders of Canada (since Confederation), it would serve to better reflect the Canada of today. Nonetheless, I think I will celebrate Victoria Day with a barbeque, a bottle of Lakeport Honey beer and for dessert, Victoria Sponge, a cake named for Queen Victoria who enjoyed it with her afternoon tea. The cake itself is strawberry jam and double (whipped) cream sandwiched between two layers of sponge cake. Yummy! Well, whatever you want to call it, I hope you have an enjoyable holiday week-end.